KatsCandy.com Bimbo and Prissy Sissy Art: BIMBO'S, PRISSY SISSY'S & THE STRAPFORD POUND! Over the Past Couple of Months In-between Re-Working Some of the Older Images in my Gallery, I have been in the process of Evaluating Several long-term Business idea's including a Website, which could potentially branch out in several directions in the future. 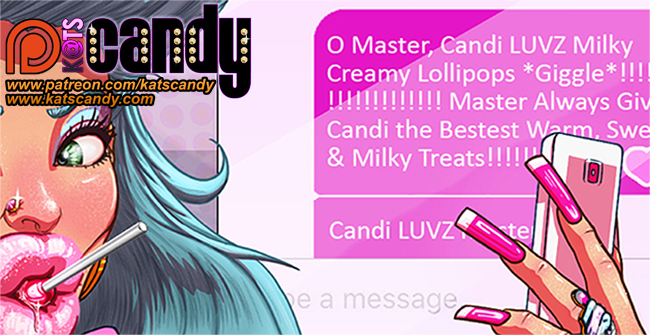 (For Future Reference & Referrals I will Label these Longer-Term Business & Website Project Idea's as *PROJECT PINKCANDY* ). But should the day ever come when I can't draw anymore, I would like to have created a business I can fall back on. 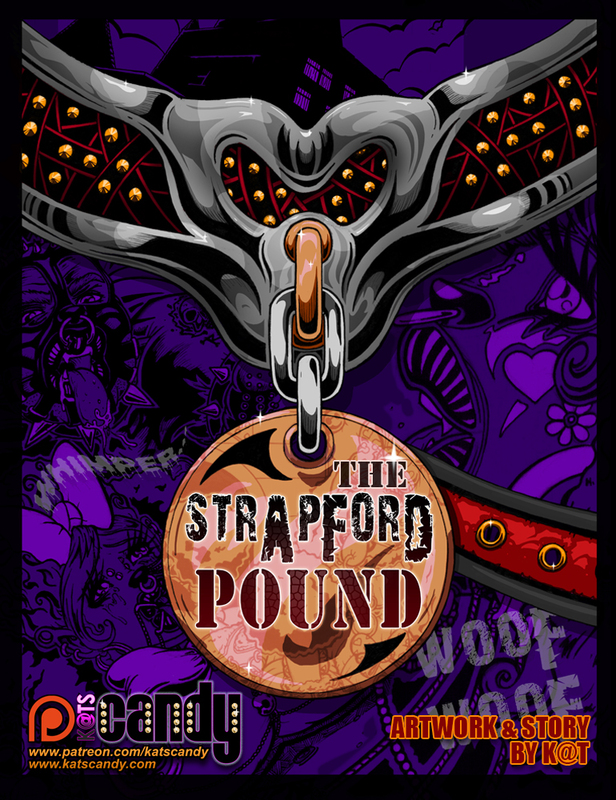 I know a lot of you have been waiting patiently (and some of you, not so patiently :-p) for years, for The Strapford Pound. To those who may not Remember or have only come across my work Recently, The Strapford Pound was an Illustrated Story I created, but was never able to be Released. Strapford Pound Teaser 1 - Beta Among the ALPHA'S! Strapford Pound Teaser 2 - Choosing the Right Puppy can be Hard! "Why not sell 'The Strapford Pound' Now and use that money to fund future *PROJECT PINKCANDY* Business idea's? Selling it Either through Paypal, Kinkbomb, Images4Sale or one of the few other outlets?" The honest answer is 'Money' & 'Time Spent' ... I Spent 1-2 years Writing, Drawing & Colouring 'The Strapford Pound' in between the masses of other work & projects. During that time receiving No proper Income of any sort from anywhere. a) Requires a Sales fee of No More than 20% of the sales. b) Allows me to retain the Full Publishing & Copyright's over the Property. c) Allows the Publishing of Adult Content. ... I will also be Posting 'Pages' of The Strapford Pound EXCLUSIVELY ONLY on My PATREON. And Turning 'The Strapford Pound Illustrated Story' into a COMIC. So I am having to Re-Structure as well as Draw quite a few Completely New Frames for The Strapford Pound. @ - Early Access to those Bimbo & Prissy Sissy Pin-Ups. @ - Large & Much Larger Versions of the Bimbo & Prissy Sissy Pin-Ups. @ - Magazine Cover Versions of the Pin-Ups. @ - Access to Regular Voting Polls on the Themed Styles of Future Images Every Cycle. @ - A Regular Contest where Patrons will be able to put their own metaphorical Stamp on either the 'Bimbo' or 'Prissy Sissy' Image, Each Cycle. @ - Lastly But Not Least, Just to Clarify, 'The Strapford Pound' pages, will ONLY be Posted on My PATREON. IMPORTANT:: THE STRAPFORD POUND WILL NOT BE POSTED ALL AT ONCE, THE PAGES WILL BE RELEASED OVER TIME. Every 'Image Cycle' will Contain *2 Styled Pin-Up Images*. And Sometimes... x1 Page of 'THE STRAPFORD POUND COMIC'... (which will appear once Every 5 Cycles as Standard... BUT If the 'Strapford Pound Milestone Goals have been achieved' ( $500/ $1000/ $1500 & $2000 ), then the frequency of each Strapford Pound Comic Page being Posted, Increases ). Amsterdamned Nites Part 3:: Baba's & Betrayal - OUT NOW!